Last Saturday, the Housing Development Board (HDB) launched its first-ever public exhibition showcasing energy-saving home appliances, meant to encourage residents to replace electrical appliances like lights with greener alternatives. Ms Grace Fu, second minister for environment and water resources, spoke at the launch of the HDB’s Green Homes Package exhibition, where she also presented awards to five companies and individuals for their ideas to encourage green living. The five ideas are mini parks at covered spaces of HDB void decks, lightweight retractable solar panels at open areas such as car parks and basketball courts, solar-powered street lights with mosquito killer and motion sensor function, more energy-efficient lighting at common corridors, and community farming. On this exhibition, EverExceed mosquito killer fortunately got awarded by Minister Grace Fu in Singapore for Singapore Green Print Fund. And this news was released on the Channel Newsasia. Under the Greenpoint programme of the HDB, 38 blocks of flats in Yuhua will be transformed into a “Green Neighborhood”.Residents in Yuhua will see more green features in their ward next year, which will pilot the HDB’s Greenprint Programme to encourage sustainable and eco-friendly living in existing public housing estates. This programme aims to encourage the use of energy-efficient appliances in homes. 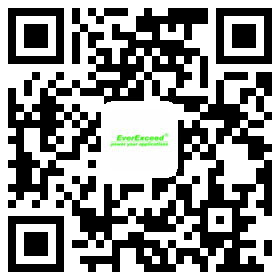 In response to environmental protection, EverExceed corporation always adheres to the concept of high-efficiency, eco-friendly and energy-saving since its establishment, and manufacture products like the solar modules, solar LED lights, lead acid batteries, nickel cadmium batteries, UPS power, chargers, and solar controllers, having high quality, comprehensive certificates, and good reputation from customers. That’s why EverExceed mosquito killer was awarded by minister Grace Fu. In the following years, EverExceed’s staff will work harder to produce various electrical appliances to make customers’ life more eco-friendly.